Incoming freshmen at the University of Arkansas recently visited Garver’s Tulsa, Oklahoma office. 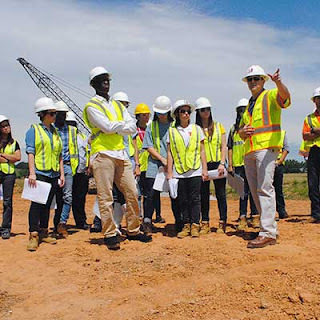 The students are part of the university’s Engineering Career Awareness Program, which is an engineering diversity recruitment-to-graduation initiative designed to increase the number of underrepresented students entering and graduating from engineering disciplines. Garver Project Engineer Pedro Maltos, who helped organize the tour, is an alumnus of the program’s inaugural class. 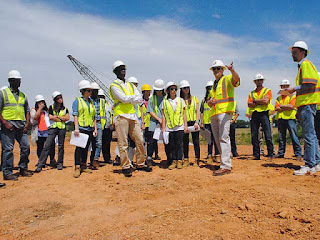 Garver employees gave the students an introduction to civil engineering and the process for project development and execution within the consulting industry. 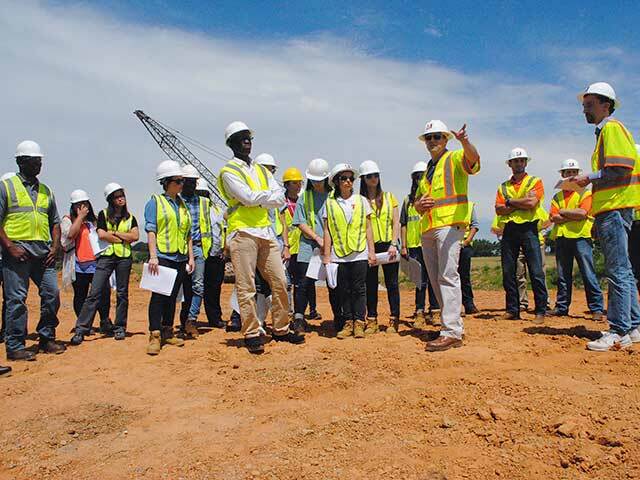 The students discussed design components with engineers and visited a job site to see those components applied first-hand. For more information on the Engineering Career Awareness Program, which is in its ninth year, visit the program’s website here.